The great thing about Cabarete is that there is always something to do on or off the water! If it's windy you can go kiteboarding, if its windless and flat you do stand up paddle boarding and if it's windless and wavy you can go surfing. Surfing is not only great exercise it is fun to learn and do no matter what level you are. The most popular beach to go surfing is Encuentro which is only 5 minutes out from the center of town! Encuentro is a special beach because it has the ideal conditions all year round to learn to surf. 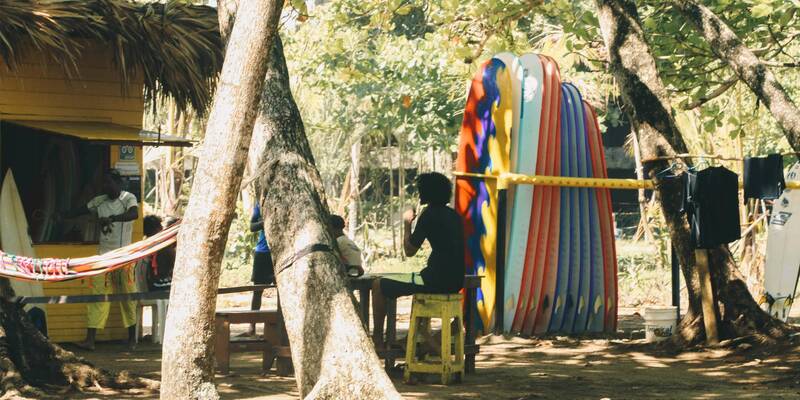 At Encuentro you will find various schools on the beach that can teach and rent you boards to get out in the water. For surfers that are a little more experienced, the coast has various wave options from reef breaks to beach breaks, lefts and rights. Famous surfers from all around the world have visited the Dominican Republic primary during the winter months of October-March because of its waves and culture. **Special Recommendation: If you are an intermediate/experienced surfer and want to have a different experience of the coast - send us a message for further recommendations of surf spots and surf adventures that can be done.